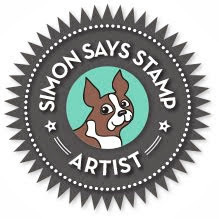 I'm back to share a final card using the sweet Simon Says Stamp April 2016 Card Kit. I was able to combine every element of this kit in today's card: the stamps ('hello friend' and the dotted background), the papers (stripes and the floral tag), the blue heart sticker, the floral clip, and two of Simon's cardstocks. 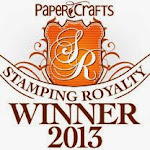 Super cute, those pretty designer paper mixes so nicely!! 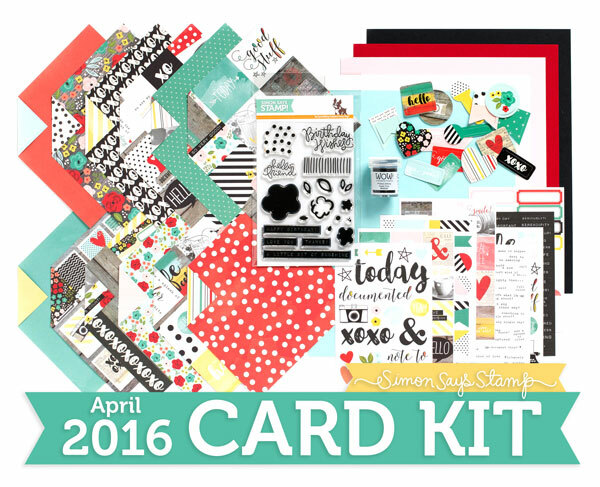 I'm excited about this card kit....so colorful and such a great stamp set. Great design using many elements in the kit - another home run by SSS. Great visual appeal created by angling the panel! Super fun to put the sentiment panel on an angle! 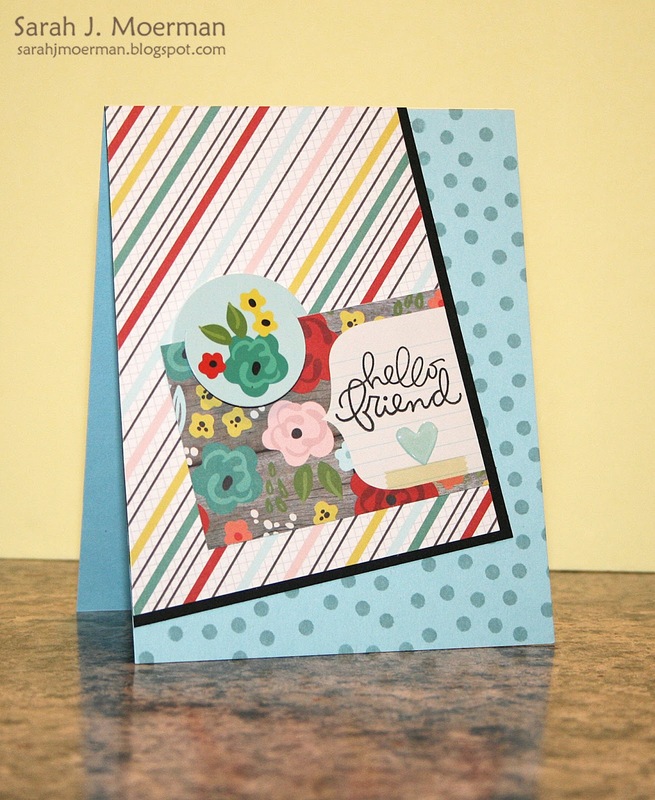 Another pretty card design by you! Love the bright colors in this kit. Loving the happy colors and that cute little font. Spring is most definitely in the air! I love your card - and this is another amazing SSS kit! Those papers are awesome. I love that you made such a nice card, using so many elements of the kit! Great job! What a beautiful and colourful card. Fab kit as always! What a great mix of patterned papers here! Your card is so sweet. Thanks so much for the chance to win this fun kit! Love your card...sure is a colorful kit! Love your angled design and the layering is simply fabulous!!! So pretty! Love it at an angle! So cute! Love the mix of polka dots and stripes. This is so pretty! Love the mix of florals, stripes, and dots! And the angle is cool too! Your card is so cute. Love the papers in this card kit. Thanks for sharing. Awesome card! Love these paper prints and colors, and the offset tilt you have here. So cute! This kit looks like a lot of fun! Your card is gorgeous! I like the angled panel I would be over the moon to win one of these kits! Thank you! How beautiful your card today! I love the pattern paper from this kit! Love the angled panel & the pretty papers over the dot background! Great design! I love the papers in this kit and you always know how you use them perfectly!! This is a lovely kit and I love your card! I love flower stamps. So this kit is great!